It has been said, concerning our departure from this world, that your friends and loved ones are the only things you can take with you. That statement speaks to its hearers in two ways. First, there is ultimately no good reason for spending all your time and resources on accumulating wealth and all the stuff of this world. When you are dead, it will simply be left behind. Second, those around you can continue to be part of your life beyond the here and now. This second part presumes you have something beyond the veil of this life to look forward to. This is where today’s reading from Matthew speaks to us today. Jesus said, “The harvest is plentiful but the workers are few.” Following this statement, Jesus sent his disciples out to do ministry. Through this effort, others could anticipate a reunion with those around them in God’s kingdom to come. The world is the same today. There are many who need to hear the message of Jesus Christ, but there are relatively few workers delivering the Gospel message. Are you anticipating such a reunion with those around you? Have you delivered the message? Many around you may be waiting to hear it. 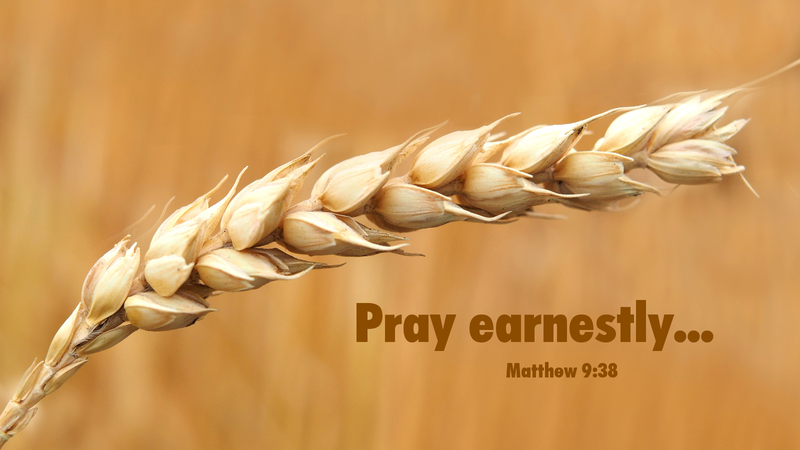 Prayer: Lord of the Harvest, awaken me to the urgency of your message of grace and eternal life through Jesus Christ, and move me to share it with all those around me. Amen. Today’s devotion was written by Rev. Robert V. Alle, NALC Pastor.